This is a very practical course delivered via informal lectures and interesting, creative projects. This course is ideal if you're looking to build a portfolio of design work or considering interior design as a future career, or simply interested in re-designing your own home. It'll give you an insight into the world of interior design and inspire you with the confidence to present your own interior design schemes. 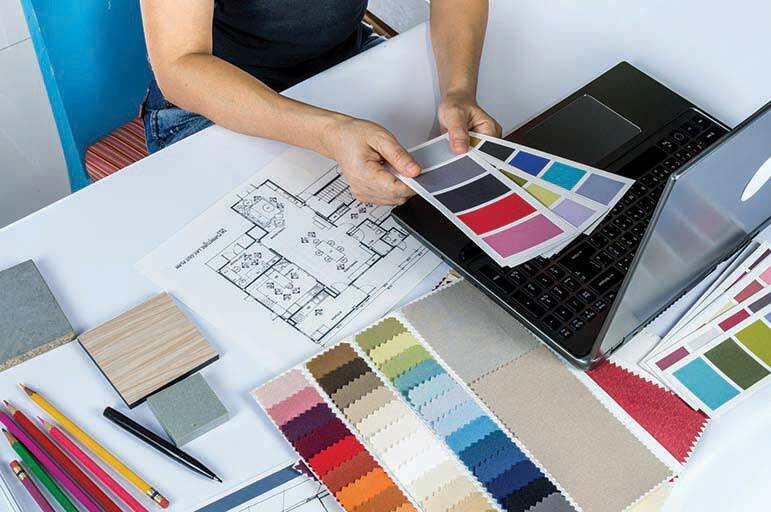 By the end of the course you'll have created a finished interior design project and developed a good understanding of the profession, enabling you to pursue your chosen career or pathway. After graduating from the Royal College of Art, Lucy Renshaw set up her own studio in the beautiful county of Derbyshire, where she works on bespoke interior design, upholstery and soft furnishing projects. All Lucy’s products are hand-made using reclaimed materials which ensure every design is completely one off. She's completed private commissions for Liberty London, Mint London, Colin Firths Eco-Age, Serendipity Paris, along with selling her work to many private clients and international boutique interior shops. Exhibitions include Masion et Objet Paris, ICFF New York and Grand Designs Live UK. One of Lucy's biggest achievements to date is the publication of her first book 'Mixed Media and Found Materials', commissioned for A&C Black. Helen Hollis is course leader for the BA (Hons) Interior Architecture and Design course. She provides academic leadership for the course, which encompasses the design, planning and delivery of the course; working with the course team to ensure high quality academic support for students; as well as supporting students pastorally. Helen spent 14 Years working for Allan Joyce Architects prior to coming to NTU, where she headed up the Interior Design Department. She worked on jobs in several different sectors, including hospitality, commercial and residential design. be introduced to the methods and technique used to complete a project, whether this is for your own home or for a client. Browse all our interior design short courses.